2 tbsps tomato ketchup Grate the potatoes on the large side of a box grater or pop into your food processor. Finely dice the onion. 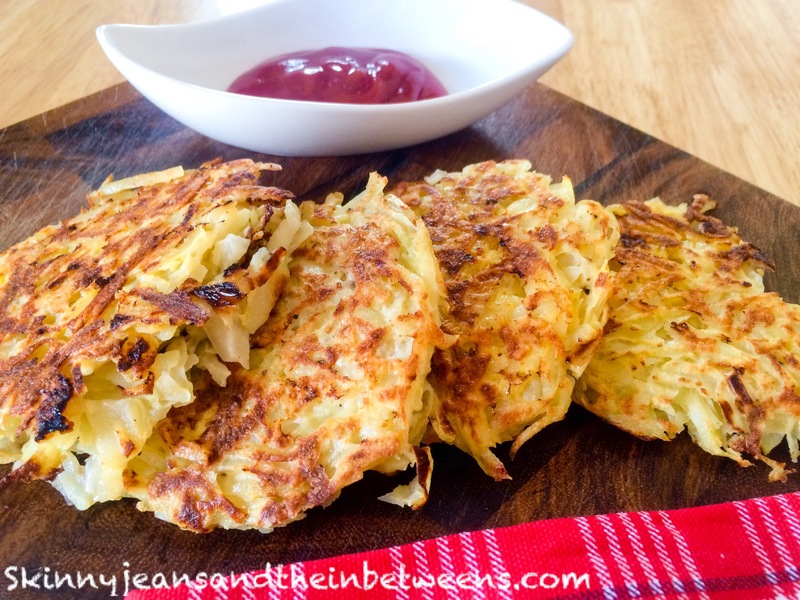 Place tge grated potatoes & onion into a clean tea towel and squeeze all of the moisture out. Get them as dry as you can. Blot with kitchen paper to remove any remaining moisture. Place in a bowl & season well with salt and pepper. Add the egg & mix through. Heat a pan well on a highish heat and spray well with sprayoil. 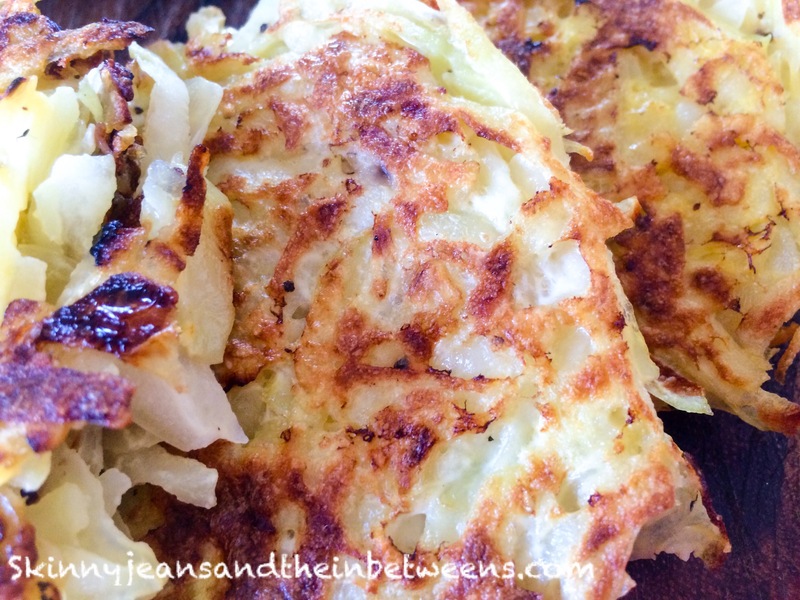 Form the potatoes into 4 pancake shapes pressing together well & place on the hot pan. 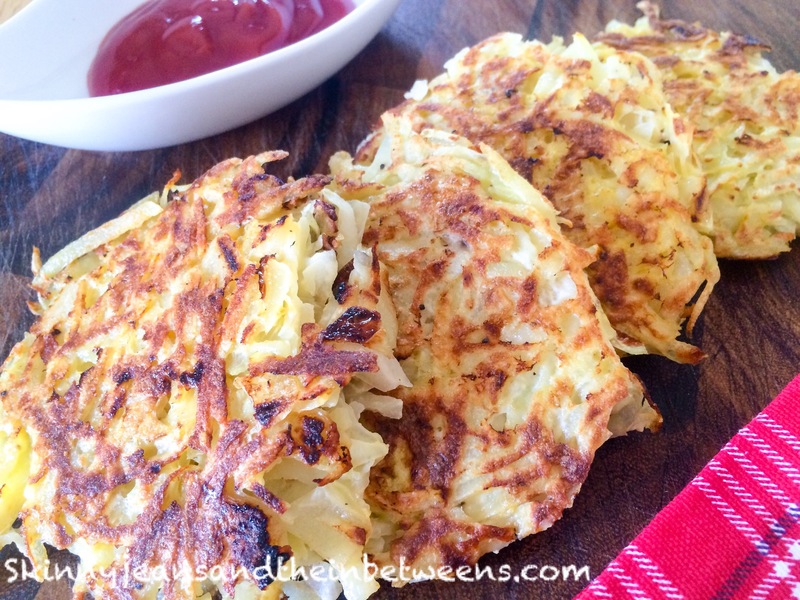 Fry the hash browns for approximately 7 minutes each side pressing down occasionally with a spatula. 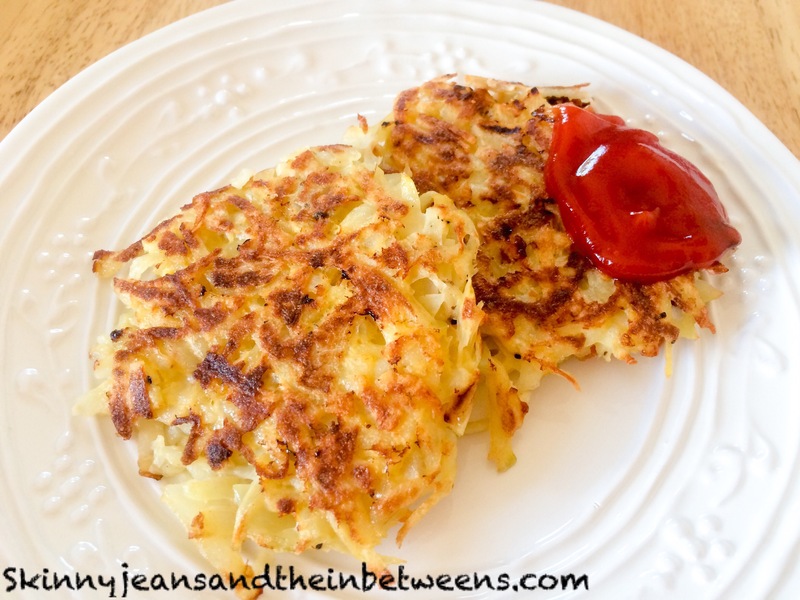 If you’re nervous flipping them do what I did, I placed a large plate on top of the pan & held it down & flipped the pan so the hash browns were on the plate then slid them gently back in to the pan. Serve with the ketchup & enjoy!